There are very few things I find quite as satisfying as sitting down with hot bowls of soup on chilly, winter days. Or fall days. Hell, I even enjoy soup in the summer and I’m not talking about gazpacho. Nothing can get between me and my love for soup – including 100° weather. Just sit me next to a fan and I’m good. 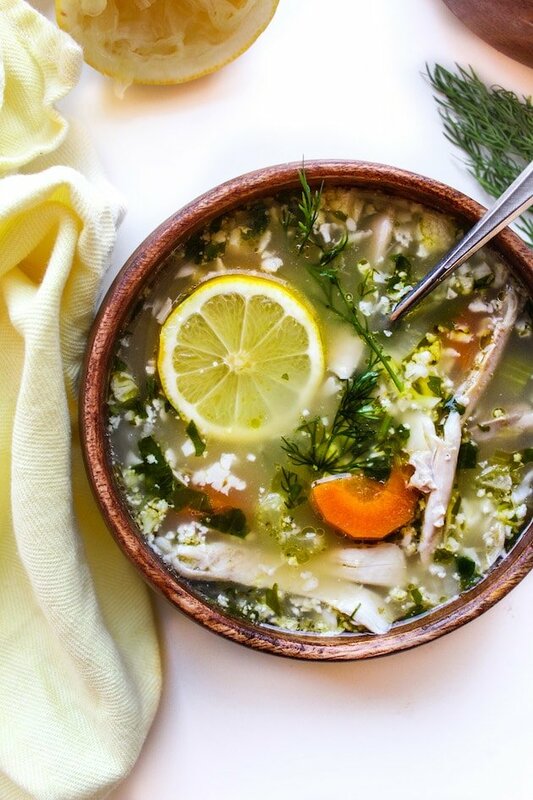 Today I’ve got this Lemon Chicken Soup to add to my ever evolving collections of soups I need in and around my face. If you’re in the need for a good clean-out-the-fridge recipe then look no further because I’ve got you covered. I made this one night in an effort to use up the odd bits and pieces that find their way shoved unceremoniously to the back of the fridge. It was so good I ended up searching for more neglected veggies a couple days later to make it again. 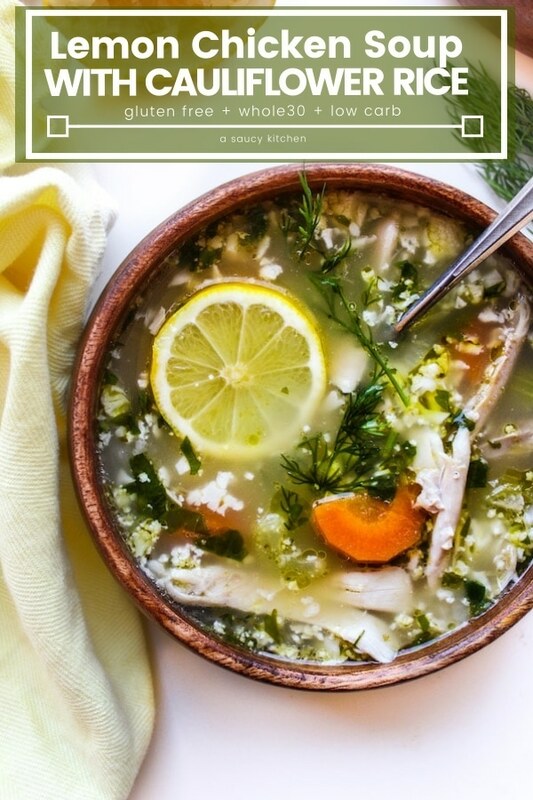 Lemon soup has always been one of my favorites. It’s got so much flavor and zip – the perfect pick me up on these grey, winter days. 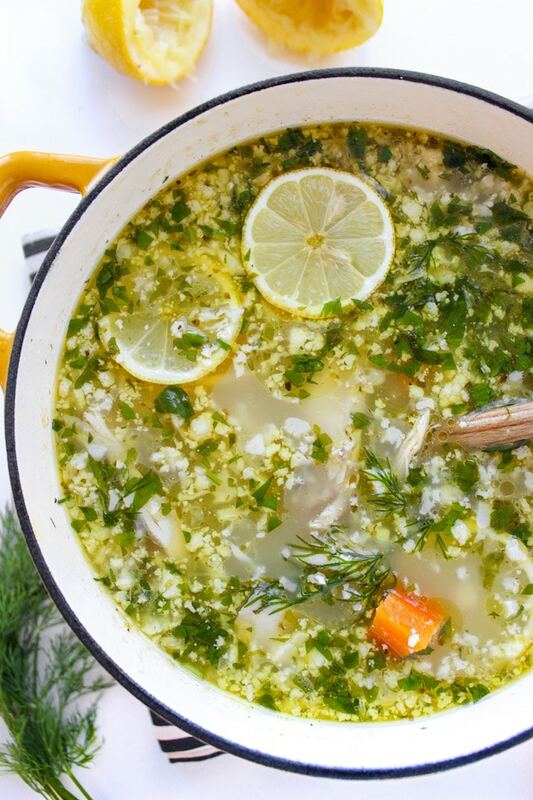 The base of this soup is made up of onions, celery and garlic. Gently sauté on the stove top to unleash their full flavors and begin laying in the rest of the soup. Just pile it all in: carrots, cauliflower, freshly squeezed lemon juice.For added texture and nutrition I also threw in half a head of grated cauliflower that was left hanging around. As for the herbs I think you can get creative with what you like/what you have in. I made this using fresh parsley and dill, but I know basil, oregano, and/or thyme would be just as lovely. Lemon is one of the flavors that plays well with others so don’t be afraid to play with the flavors. All of that AND it helps clean out the fridge. A true winner, friends. 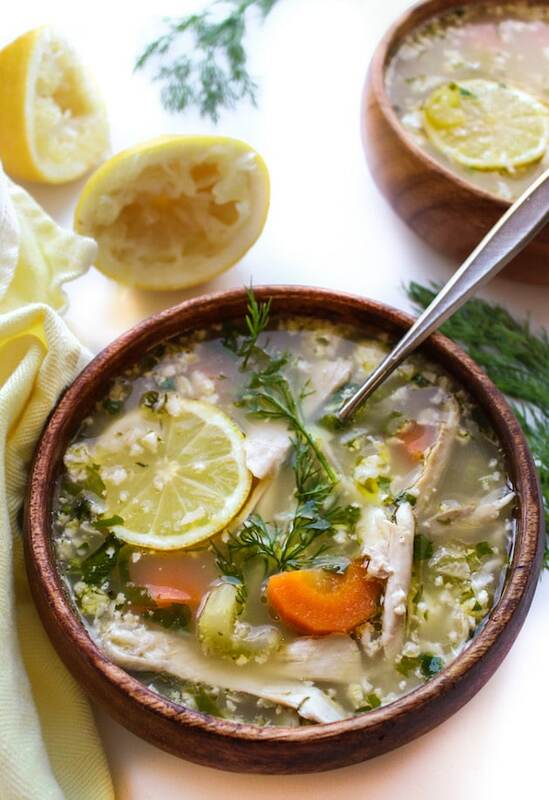 Don’t forget to #asaucykitchen on instagram if you make this lemon chicken soup. We love seeing what you make! You can also post your pictures to our facebook page! OMG OMG OMG this is a fabulous recipe – 5 Stars doesn’t do it justice! I can never make a recipe as is – KETO is my WOE – here are my alterations. Thanks Robin! I’m so glad you loved it! Thanks so much coming back to let me know what you thought! Just made this and it is fantastic! So fresh and delicious as well as filling. I didn’t have the herbs on hand so I skipped that part, can’t even imagine how good it would be if you add that step! Day 1 of whole 30, hopefully this recipe will help me get through it! 🙂 thanks! Ooh good luck on your Whole30! I’m currently in the middle of one though I’ll admit that we’ve ‘cheated’ a few times. So glad you liked it and I do hope it will help you through the next month! Thanks for coming back to let me know what you thought! Can frozen riced cauliflower be used in lieu of freshly grated? Looks sooooo good! I can make it AIP If I remove the black pepper and add sea salt instead of salt correct? I think that’s right! It’s been awhile since I needed to keep up with AIP but I’m pretty that swapping out the pepper would do it! Thanks so much for the inspiration! I found this recipe when searching for the uses of “riced cauliflower” that I have been seeing at Trader Joe’s for several years. Once I saw it at Safeway, I realized that it has gone mainstream and decided to find out, at last, what to do with it. Hence your soup. And – in the past I thought that chicken lemon combination can only be enjoyed at Greek and Turkish restaurants. I made the soup in a slow cooker. It was right from the first attempt, and only after about 2 hours of cooking on low. As Carol said, your photography is stunning. Thanks so much ! Will be a regular over here. I will credit #asaucykitchen on Facebook. Thanks Natalya! That makes me so happy to hear and I’m really glad you enjoyed it! Thanks so much for coming back to leave a comment/review letting me know how it went! 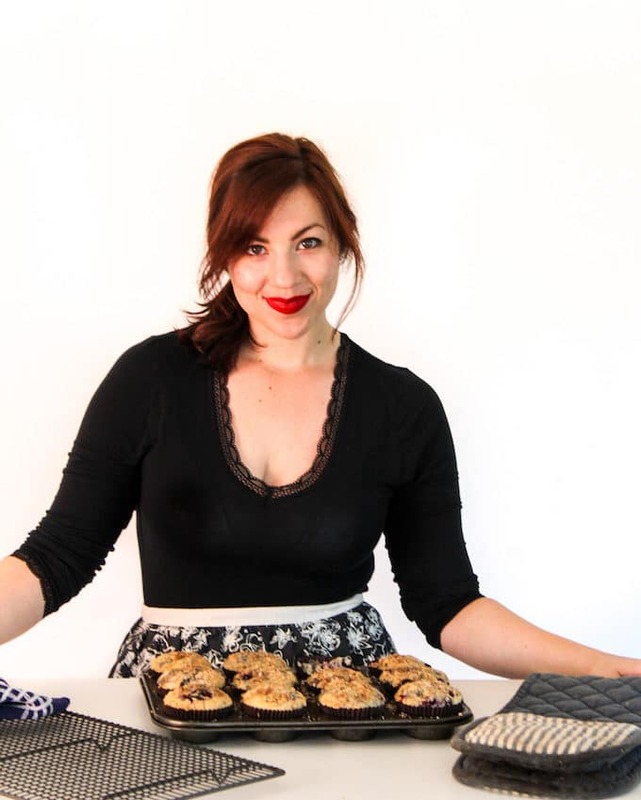 Your photography is stunning and you’ve helped me with another menu items for a Paleo client! Thank you and I’ll be searching for many more recipes on your site.